So does my friend JY who went to Taiwan together with me (she is slightly taller than me but only half my width which goes to show that the world can be very unfair, but let’s ignore that fact for the purpose of this post). We also don’t plan a lot when we travel. Hence it is no surprise that we did not have a list of tourist attractions to visit. But still, we did have a list of food we needed to try. That is simply how much we love to eat. After eating our way through Cingjing, Sun Moon Lake and Taipei, we had several hits and misses when looking for awesome must-try dishes. So in order to do the world a service and turn the wasted calories into something useful, I have decided to create the list of food we had there that was absolutely worth trying, with occasional notes of which food turned out to be disappointment. 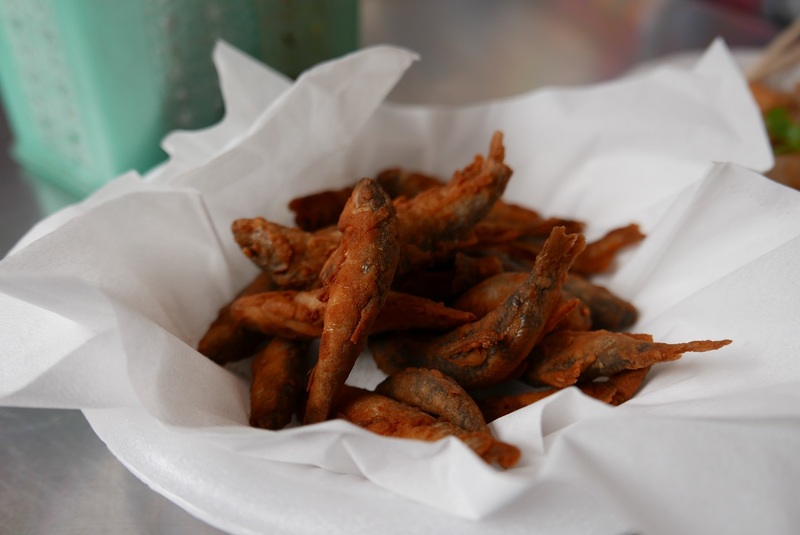 I honestly did not expect much out of the eatery at Cingjing Farm, but this mini fried fish was a nice surprise! It was served hot and crispy with just the right amount of salt, but be careful of lurking fish bones! 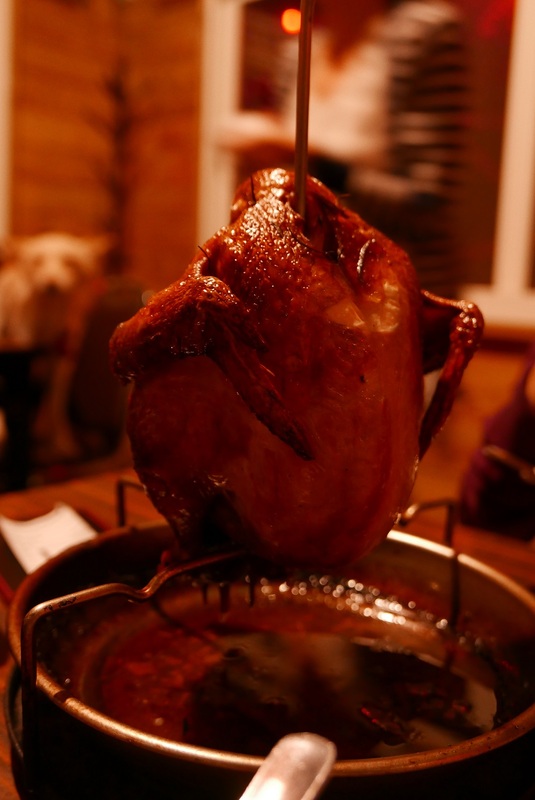 This fragrant roast chicken was recommended by our driver from Taichung to Cingjing. I was half surprised and half glad that the main dish of the mountain with the famous sheep farm is not, well, sheep meat. (I find it morally wrong to be eating any animals that I have pet previously. I may have deliberately not pet any pigs in my life because pork). You can find this at Shui She Pier. 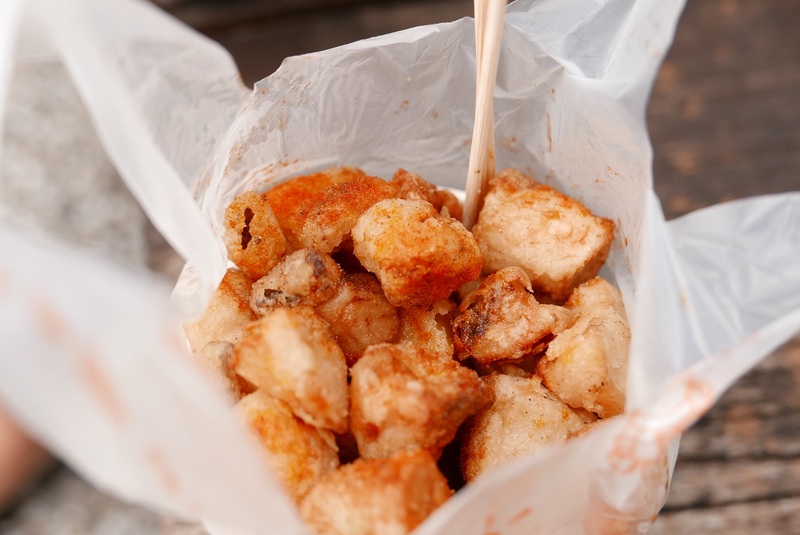 It is mushroom + deep fried batter + chilli powder – what more can you ask for? We loved it so much we bought this snack twice. I honestly have no idea how to call this, but this mushroom and vermicelli wrapped in what tasted like wanton skin was a nice surprise we found at one of the stalls at Sun Moon Lake. I have no idea why the plastic bottle was there!? 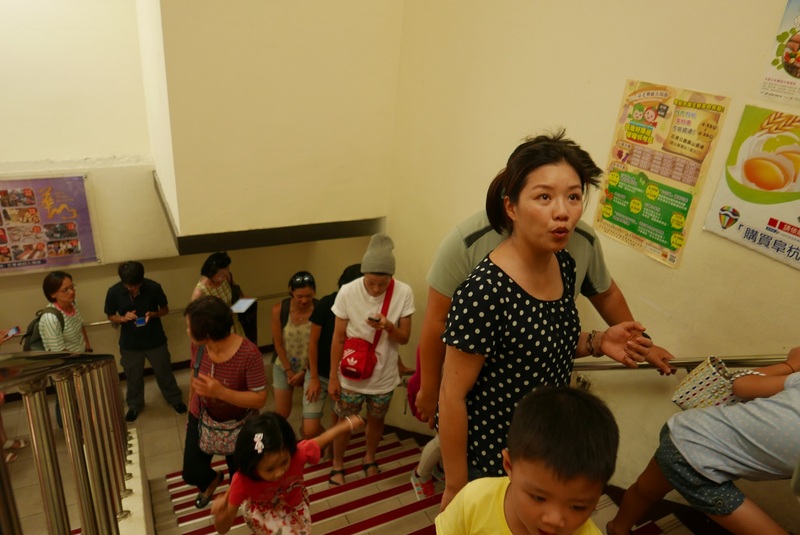 What not to try in Sun Moon Lake? 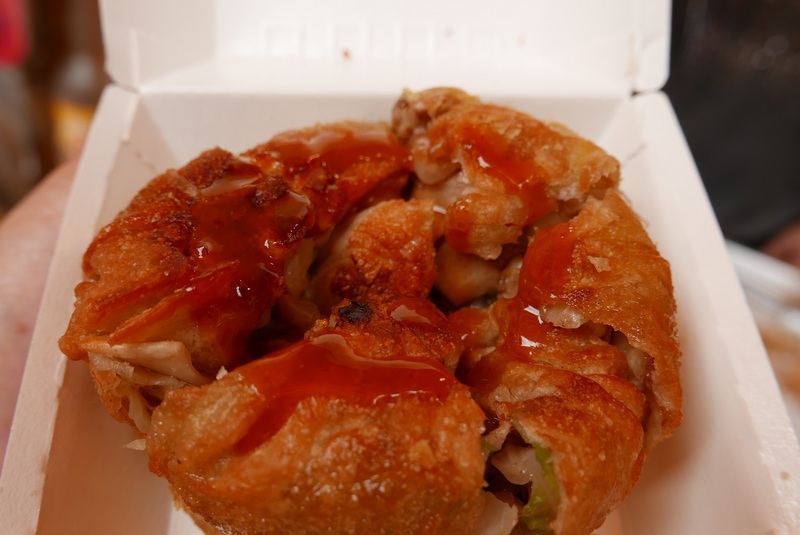 The heavily advertised egg rolls – they had absolutely no taste. 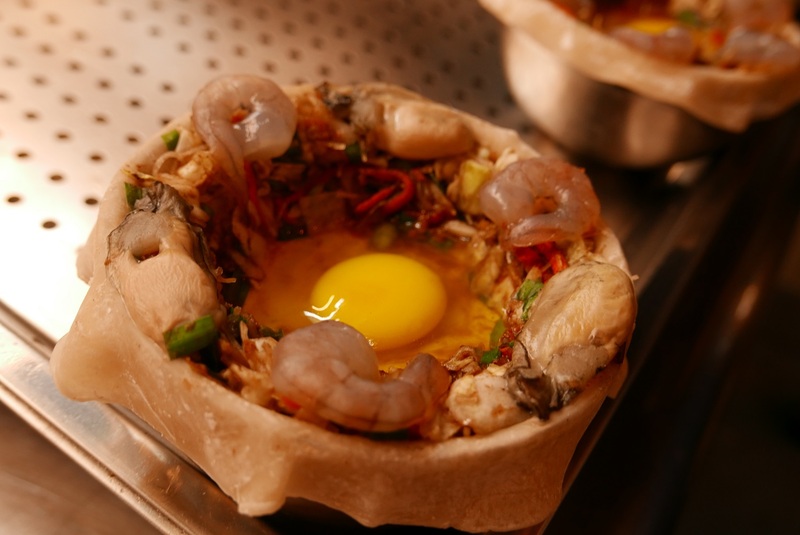 This innocent looking golden-brown dumpling is power packed with delicious scallop, prawn and egg. A combination that left us wanting for more with every bite. I will let you be the judge for yourself when you visit next time. As far as food ingredients go, salted egg yolk has an unfair advantage – whatever you pair it with, the dish will taste heavenly. I couldn’t be more excited when I saw this salted egg yolk taro ball sold at one of the stalls at Ning Xia Night Market, and it surely didn’t disappoint. 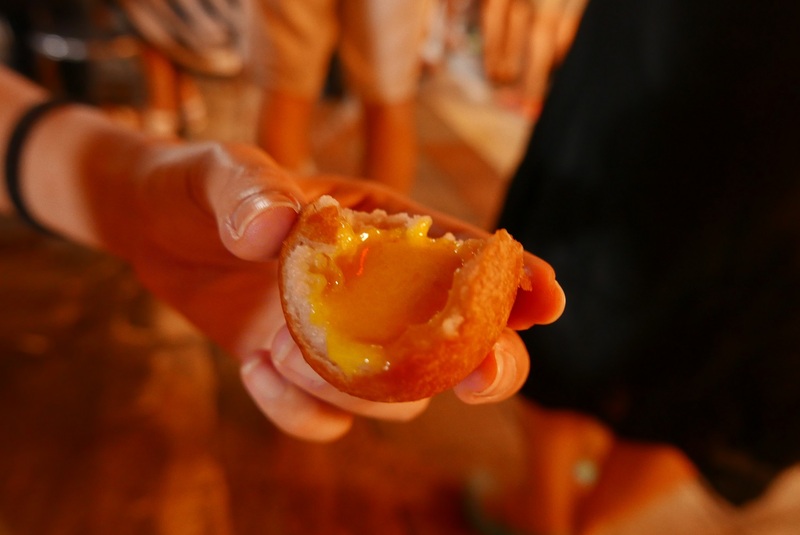 When I bit into it the crispy exterior of the ball, the molten egg yolk was overflowing, and it was like eating the famous Cantonese salted egg yolk bun, only DEEP FRIED. This dish attracted my attention because it looked massive. Honestly I did not find it extremely appetising at first, but my friend told me that in Singapore, the same dish would cost three times as much in a Japanese restaurant. So I just knew that I had to get it. 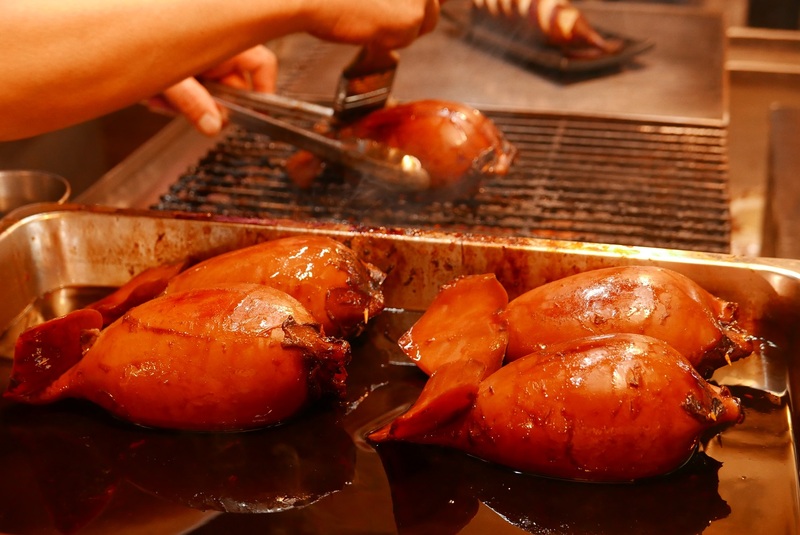 It didn’t strike me as my favourite food at first, but for some reason, the more I poked into the sliced cuttlefish ring stuffed with rice, the more it grew on me, so much so that it made it to this list. 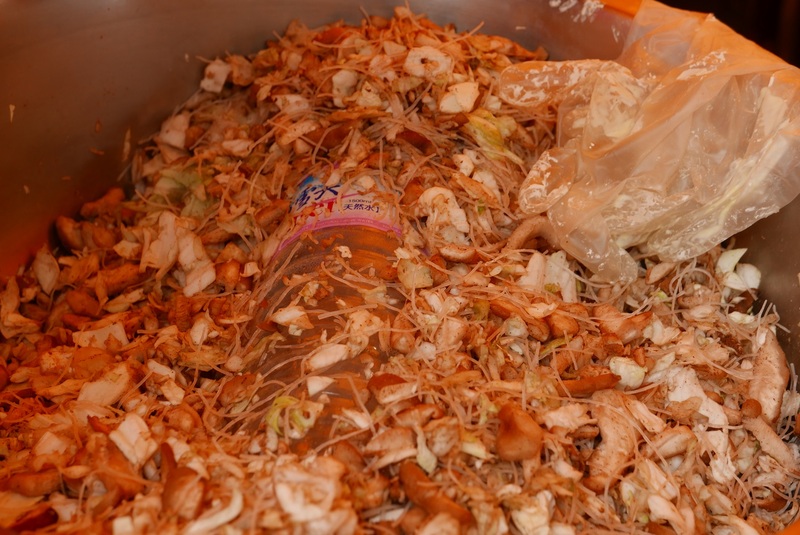 What not to try at Ning Xia Night Market? The mala smelly tofu soup and the oyster mee sua. I love soya milk, and Taiwan is probably the best place to have it. I mean, they even have a song about it. So when a friendly taxi driver recommended us to go to one of his favourite soya milk stalls, we decided to check it out. He told us that it is not touristy and is one of the favourites among the locals, so this was not what we expected when we reached the place. A crazy long line that stretched to the emergency exit. I mean he did tell us that it was popular, but he should have warned us that it was THIS popular. 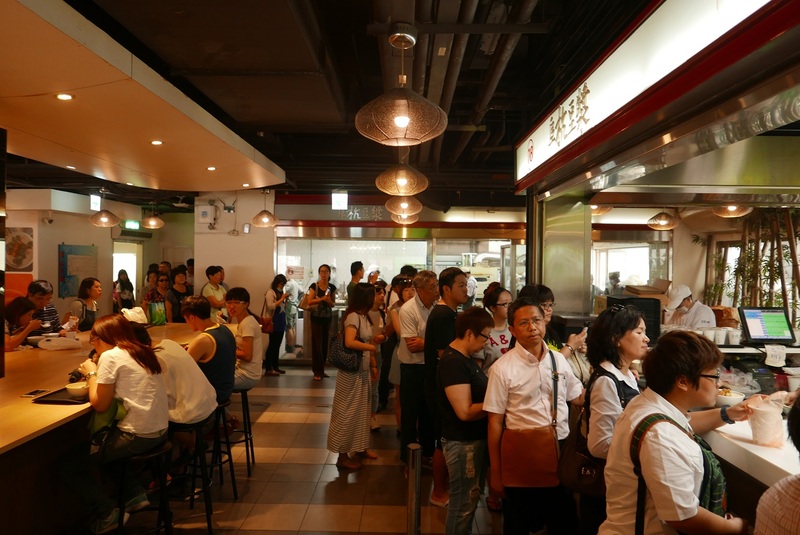 It was probably the longest line that we saw in Taiwan for anything throughout our trip. The wait was well worth it though. It was an especially hot day when we visited the place, so the bowl of cold soya milk that I ordered couldn’t have been more welcome. And don’t forget the you tiao! 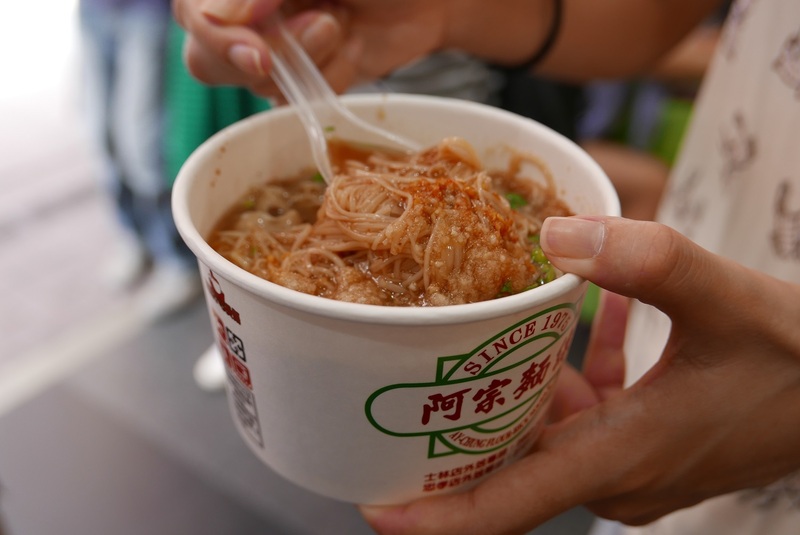 This was probably one of the staple and most cliche foods for tourists visiting Taipei – the famous oyster mee sua (rice noodle). 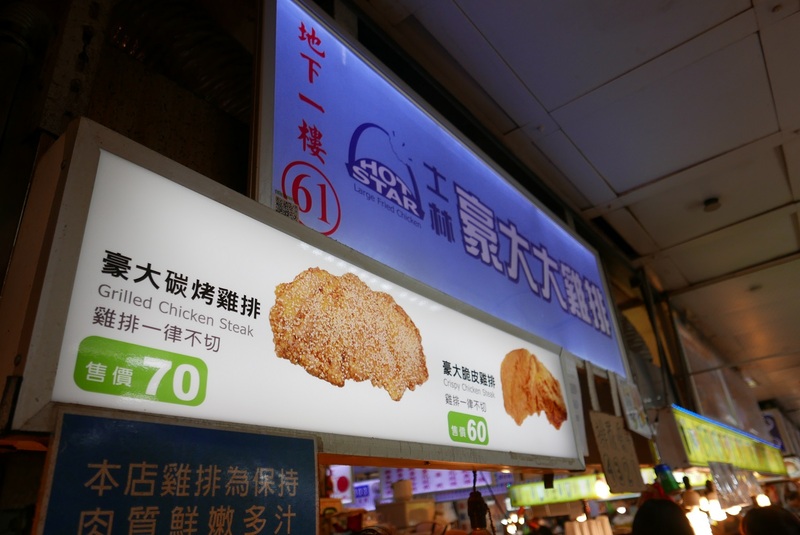 Apparently the quality has deteriorated over the years as the stall gets more commercialised, but we couldn’t find a better alternative to this (the one we tried at Ning Xia Night Market was pretty rubbish). And to be perfectly honest, I still found it delicious even though the oysters tasted like flour. Another ‘classic’ Taiwanese snacks that is a favourite of many. The crispy fried chicken is still a must-have when you visit Taipei: it is gigantic, crispy and 100% sore-throat inducing, so it is awesome. 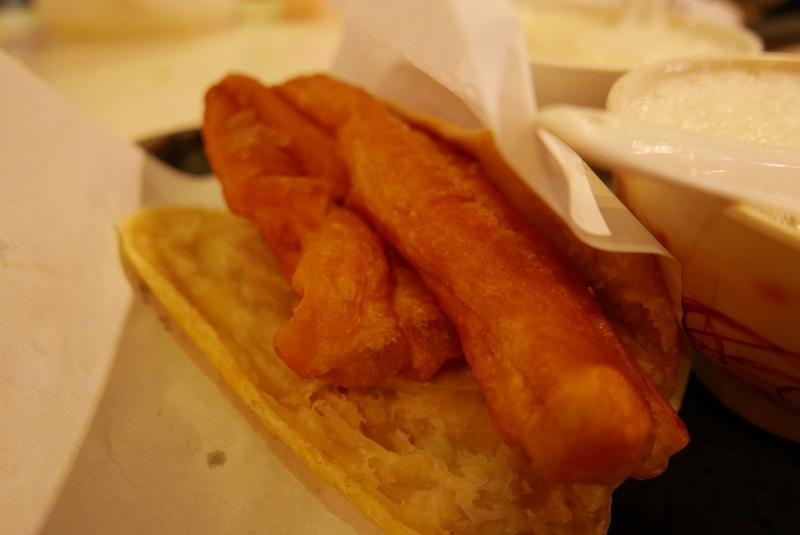 What not to try at Shilin Night Market? The oyster omelette – the omelette stall’s cook provided a nice show with his exaggerated movement, but the taste of the food was a let down. The sauce was a bit too sweet for my liking and I could barely taste any oysters. 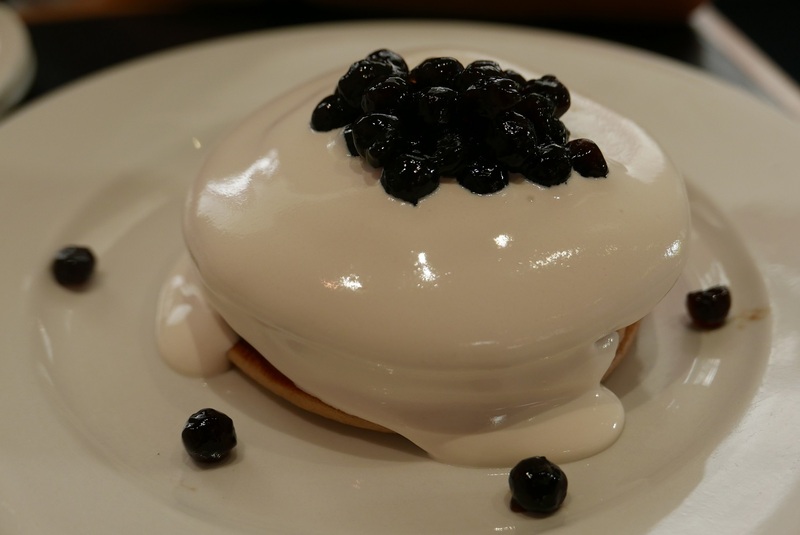 This has got to be the most interesting food we tried in this trip: pancakes covered in cream and tapioca pearls. When it comes to pretty-looking desserts, I am generally quite skeptical. But these pancakes were not just a pretty face – they actually were really good. We could taste the distinct pearl milk tea flavour, the pancakes were soft and warm and the tapioca pearls were pleasantly chewy. My only regret was that I was already a bit full from the bowl of soya milk and the oyster noodle that I had just before visiting this cafe, that I was struggling to finish the pancakes. A little tip when visiting Belle Epoque: come with an empty-ish stomach since each person is required to order at least one dish. My friend and I ordered a mentaiko pasta to share, which was pretty decent. If you ask me what my favourite food from the trip was, it was probably the salted egg yolk taro ball. 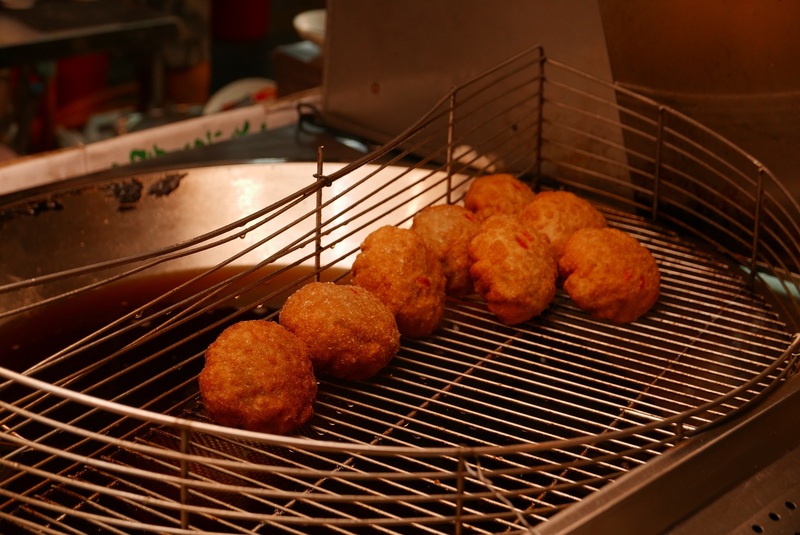 Or perhaps the fried dumpling with scallop and prawn. Or maybe the fried oyster mushrooms. Or, you know what, I DON’T KNOW. Choosing my favourite out of these is like asking a mother to choose who her favourite child is – it is simply UNFAIR. And you are absolutely allowed to have more than one favourite food. Just like how you are allowed to have more than one best friends. Previous postThe friendly strangers of Taiwan. Next postKuala Lumpur, this time.